Rare shot of digger on nest mound. 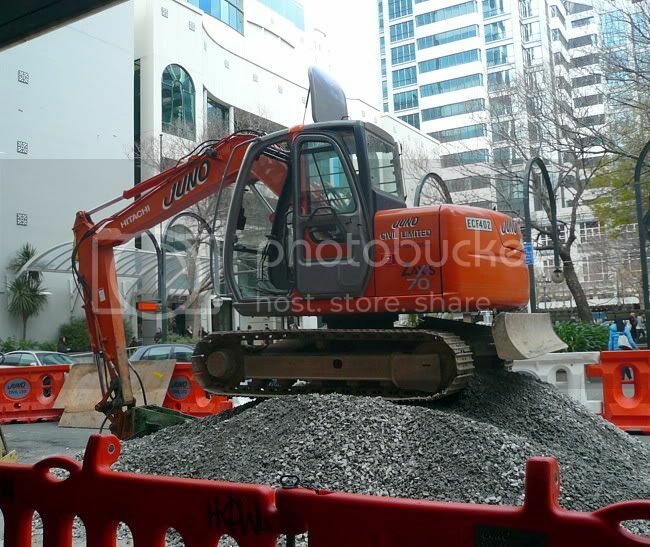 Although commonly found feeding on underground wiring and, occasionally, gas mains in the CBD, diggers are shy about their reproductive habits, usually secreting their nests in industrial areas well outside the city. This one has been fenced off to prevent it being disturbed by the herds of public servants which graze indiscriminately in this area. You could probably get a series out this concept.. Urban Wildlife, a photographic essay. The picture is good. The caption is priceless.